Asbestos is a naturally occurring mineral, made up of long thin fibres. Asbestos fibres can be dangerous if they are inhaled as dust and are known to contribute to increased risk of lung cancer, scarring of the lung tissue and cancer of the lining of the chest and the lining of the abdominal cavity. Asbestos was commonly used as an acoustic insulator and in thermal insulation, fire proofing and other building materials. 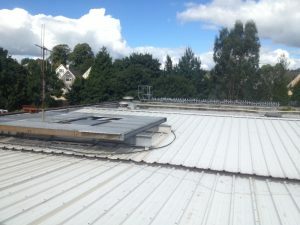 The removal and disposal of Asbestos is a complex procedure and must only be done by a contractor who has the necessary training and paperwork in order. The improper removal of Asbestos increases the risk of fibre inhalation. 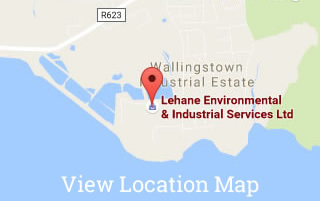 Lehane Environmental can dispose of Asbestos via direct export routes for large quantities of Asbestos – Each consignment of Asbestos needs to be pre-notified which takes about 40 days. If you have an upcoming project that requires large volumes of Asbestos to be disposed of then we can offer you possibly the cheapest disposal price of Asbestos available in Ireland. All Asbestos is exported in accordance with Transfrontier Shipment of Waste Regulations (TFS Regs). Certificates of Disposal are issued to the Client on Completion of the Disposal of the Asbestos. Asbestos Waste is shipped in 40 foot Box Containers direct from the Site to the European Disposal Facility. Lehane Environmental can also provide for the removal and disposal of Asbestos in small quantities. The HSA have published an information sheet outlining the dangers associated with Asbestos Removal, Wrapping and Disposal and the relevant legislation. No person is permitted to work with Asbestos containing materials unless they have received training and have taken all reasonable steps to prevent exposure to Asbestos. The requirement for training is detailed in Regulation 17 of the Safety Health and Welfare at Work (Exposure to Asbestos) Regulations, 2006. It is the responsibility of the PSDP and the main contractor to ensure the works with Asbestos are carried out accordingly. The Notification Form where the planned Asbestos related work activity will expose or could expose workers to a concentration of Asbestos fibres in air in excess of the exposure limit value can be downloaded from HSA website. The Safety Health and Welfare at Work (Exposure to Asbestos) (Amendment) Regulations 2010 (SI 589/2010), which were signed into law by the Government in December 2010, amend a number of the provisions of the Asbestos Regulations 2006 (SI 386/2006). The provisions relating to the ‘plan of work’ (Regulation 15) have been extended to include repair and maintenance. The entire of regulation 15 has been repealed and re-enacted with the addition of new or significantly revised sub-clauses. Regulation 25, which provides for the maintenance of an occupational health register now requires an employer who is ceasing business to ensure that individual medical records are made available by the employer’s responsible medical practitioner to the HSA or whomever the HSA directs. Regulation 26 is also repealed and re-enacted with a provision concerning the application of Asbestos by spraying. The amended regulations in effect adopt as Irish national law the new EU Asbestos Directive 2009/148/EC. Now also, when an employer is carrying out an activity which would or would be liable to expose an employee to dust or materials from Asbestos the employer shall let the HSA have a copy of the plan of work.